The achemical mystery personified by this impossibly rare flower. These are the perfect companions for our Bed of Roses Ear Wrap and other black rose pieces. 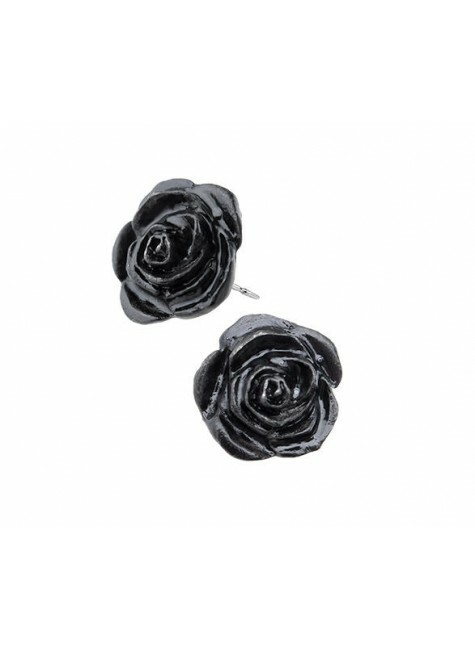 The Black Rose stud earrings by Alchemy Gothic are made from fine English pewter and measure approx 1cm in width. Surgical steel posts and hypo allergenic plastic butterfly caps. Item Number: AG-E339 | Approximate Size (Inches): 0.50 wide x 0.50 deep x 0.50 high | Approximate Shipping Weight: 0.25 lbs.